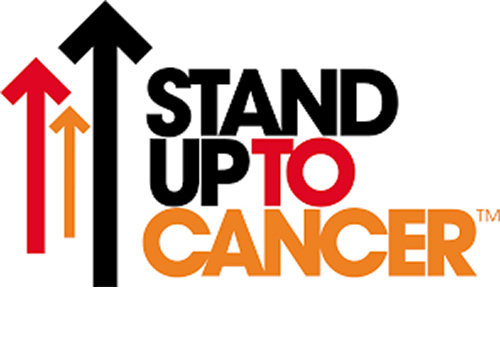 Stand Up to Cancer (SU2C), the charitable effort that promotes speeding up translational cancer research, said today it is launching a new industry-supported research program. The new Catalyst program aims to accelerate research on cancer prevention, detection, and treatment through funding and materials from biopharmas as well as diagnostics developers and medical device companies. Charter supporters of Catalyst include SU2C founding collaborator Merck & Co., Bristol-Myers Squibb, and Genentech, a member of the Roche Group. These and other companies will donate funds to support collaborative research studies using products the companies will provide—such as new compounds they are developing, or approved treatments that can be investigated for other uses. “The Catalyst program is a perfect fit with the SU2C mission of accelerating the pace of groundbreaking translational research that provides new therapies to patients quickly,” SU2C President and CEO Sung Poblete, R.N., Ph.D., said in a statement. Through its scientific partner, the American Association for Cancer Research (AACR), SU2C plans to issue a Request for Proposals (RFP) to researchers based on each company’s commitment of funding and materials, such as drugs and diagnostic tests. The RFP will detail the compounds that will be available, the research emphasis, the estimated number of projects to be supported, and amount of available funding, SU2C said. The SU2C Catalyst program will be overseen by an executive committee chaired by Nobel Laureate Phillip A. Sharp, Ph.D., chair of the SU2C Scientific Advisory Committee and institute professor at the Koch Institute for Integrated Cancer Research at the Massachusetts Institute of Technology (MIT). The executive committee will select a subcommittee chair from an academic institution who will work with an industry-specific steering subcommittee consisting of an equal number of academic scientists. Subcommittee members will be named by SU2C in consultation with the AACR and industry members named by the funding companies to review proposals for grants pursuant to each industry-specific RFP. The AACR will administer the program. SU2C, a program of the Entertainment Industry Foundation (EIF), was established in 2008 by film and media leaders with the goal of building public support for a new, collaborative model of cancer research and for raising awareness about cancer prevention as well as progress against the disease.